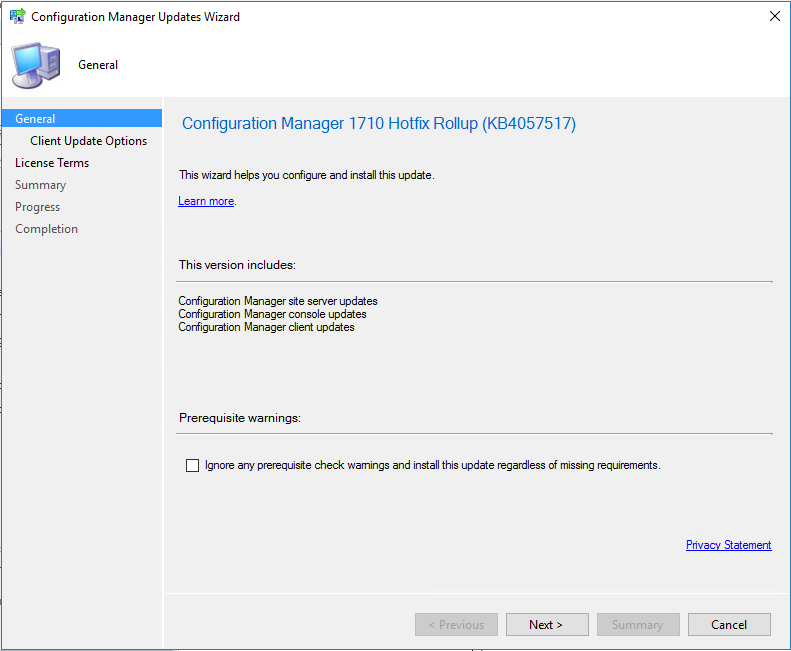 This post contains a guide to installing the latest SCCM 1710 Hotfix from within the Configuration manager console. 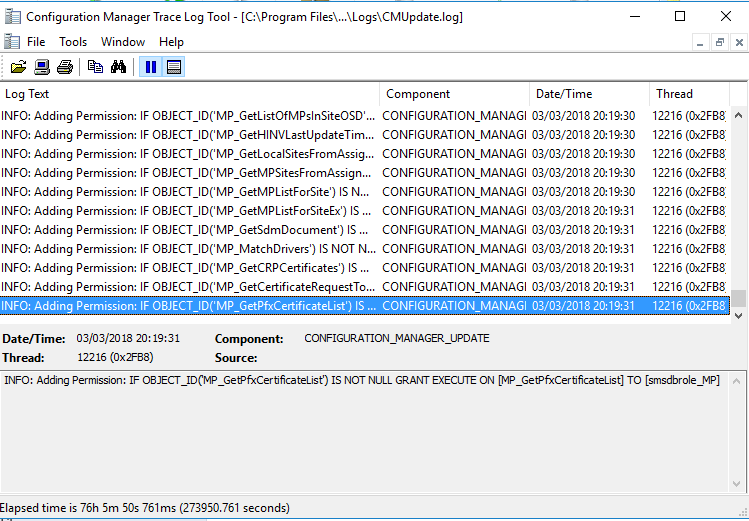 The first step is to launch the SCCM console with an account which has the privileges to update the site server. 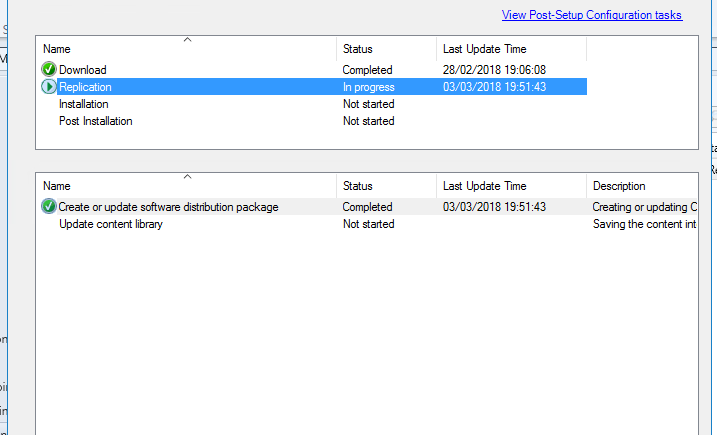 NOTE: Ensure you are not running any SCCM maintenance tasks when you go to install an update pack. 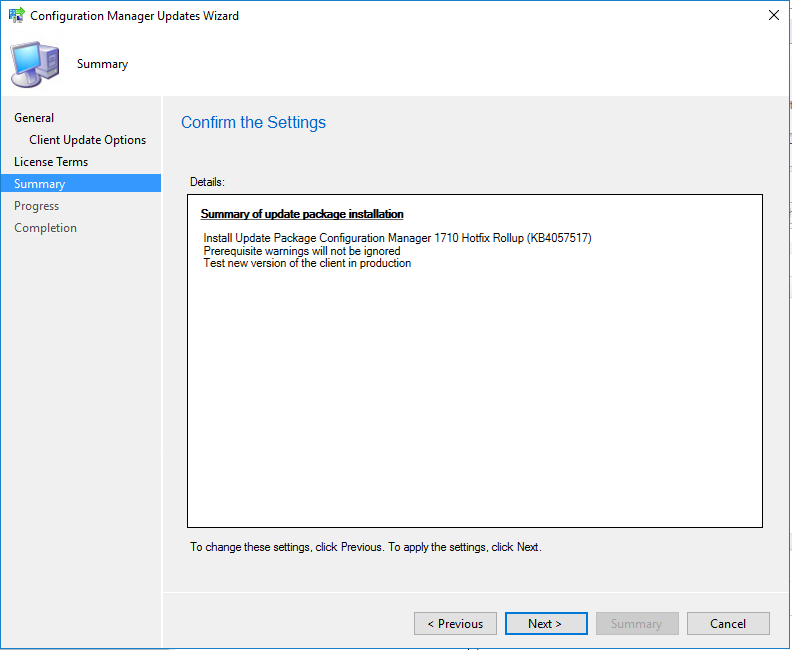 Once in Configuration manager navigate to Administration > Updates & Servicing and you should see the hotfix available to install. If not click the check for updates button at the top of the console. Click on the Hotfix rollup and choose Run prerequisite check to ensure that your infrastructure passes the requirements to install the hotfix. 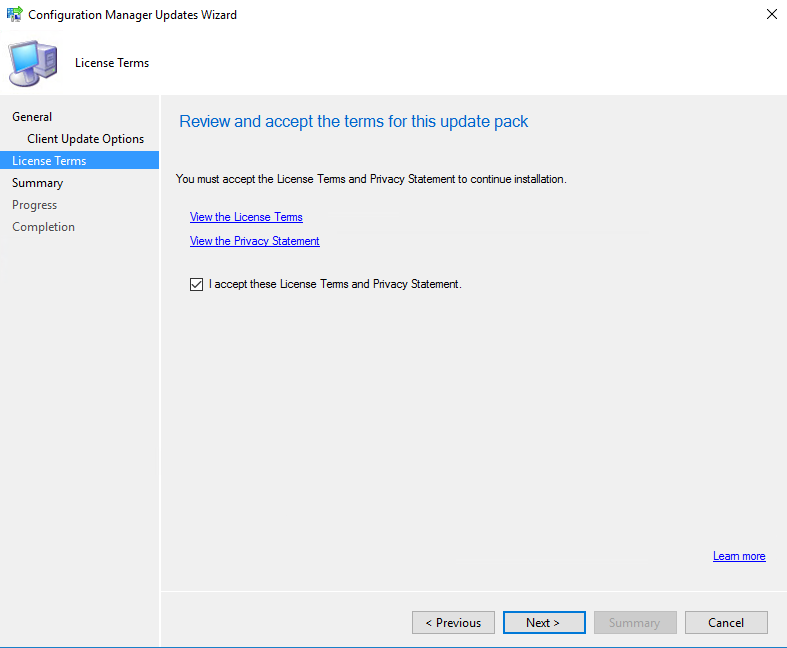 Providing the prerequisite check is successful we can then move onto installing the update pack. If this fails you will need to look at the error and resolve the issue with your environment before proceeding. As this is just a hotfix you more than likely will not experience any prerequisite issues. Next is to select whether you want to upgrade all clients immediately without validating or whether you want to validate the client package using a collection you have previously created. 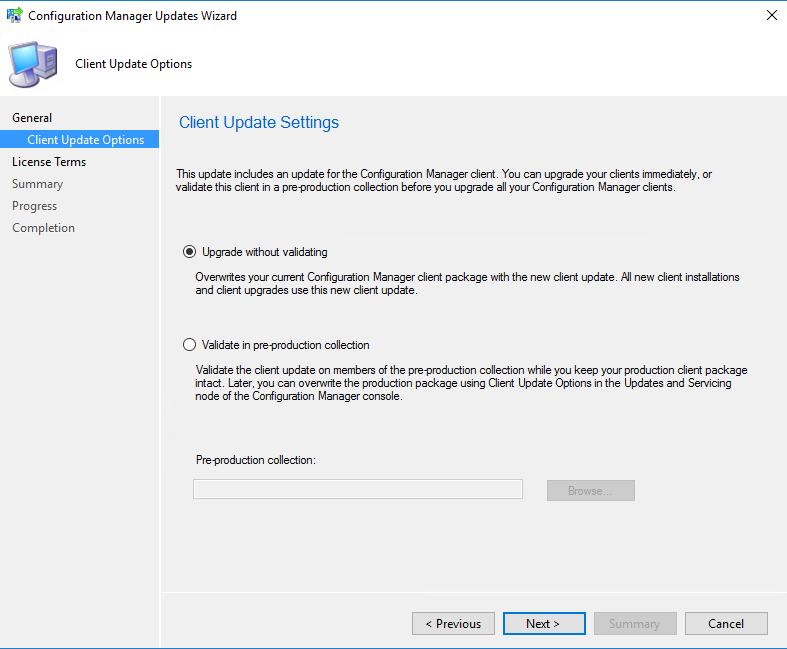 In a production environment you would validate in a pre-production collection to ensure there are no issues before promoting the update package to production and deploying to all clients. For the purpose of this guide i am going to upgrade without validating. One the update is finished you will be prompted to update the console on all devices which it is installed on. NOTE: In order to prevent corrupting data you must do this as soon as prompted. You have now successfully upgraded the site server to the latest hotfix and the latest configuration manager console update has been installed (5.00.8577.1108).